If not by the grace of Allah (Azza wa Jal) we would cease to exist. We are asking to take a path nothingness and a continuous reminder for ourselves to try to be nothing and enter into the Oceans of Allah (Azza wa Jal)’s Rahma and Mercy. Alhamdulillah Allah (Azza wa Jal) granted us a good long life to see the opening of this holy month (Muharram). This is the month of Hijrah (migration) in which the Prophet (sallallahu `alayhi wa sallam) was granted a permission to move, from Makkah to the City and realities of Light. Prophet (sallallahu `alayhi wa sallam) is great and all this Creation is for the greatness and the love of Sayyidina Muhammad (sallallahu `alayhi wa sallam). Allah (Azza wa Jal) is Akbar (great), He is more Supreme no doubt, but the love that Allah (Azza wa Jal) has. Means that Sayyidina Muhammad (sallallahu `alayhi wa sallam), and all the prophets, have a timeless reality. We are people who are interested in the Malakoot (heavens) and alhamdulillah whatever comes for the mulk (material word), no problem, but we are not the people who are only interested in the physical world and pay no attention to the spiritual world. It means there must be a symbol and a Message that Prophet (sallallahu `alayhi wa sallam) has for our lives at every moment and everything is by perfect example. Prophet (sallallahu `alayhi wa sallam) struggled for thirteen years in Makkah, and Makkah represents ‘the state of the heart’. That this way of reality, this way of reaching towards Allah (Azza wa Jal) is a continuous struggle. It is not a one time benefit, one day you feel good, the next day you don’t feel good and you give it up. It is a lifelong battle. And how much Prophet (sallallahu `alayhi wa sallam) went through difficulty as he describes, ‘There was no prophet more abused by his people than Sayyidina Muhammad (sallallahu `alayhi wa sallam). So that leaves us a tremendous understanding of our path that it is not going to be easy, there is no instant gratification, and it is going to be a continuous struggle against the self. It means to fight with the heart so that the Message of Allah (Azza wa Jal) can enter into the heart. Struggle with the heart, struggle with the heart, struggle with the heart, and keep the love of the Messenger of Allah (Azza wa Jal) so that Message can enter into our heart. It is not only that Prophet (sallallahu `alayhi wa sallam) had Companions and nobody else has Sayyidina Muhammad (sallallahu `alayhi wa sallam). At a timeless reality that they kept the companionship and we keep the companionship, not in the same darajat (station). But to keep the love of Sayyidina Muhammad (sallallahu `alayhi wa sallam). When you love and praise upon Prophet (sallallahu `alayhi wa sallam) he describes that, “My soul comes back to accompany you.” The greatest of companionship is darood shareef continuous darood shareef, and love of Sayyidina Muhammad (sallallahu `alayhi wa sallam) so that that Message can enter, and the understanding of the struggle can enter into the heart. Then the holy month of Hijrah begins. Every year we shower for the arrival of Muharram and ask, “Yaa Rabbi, yaa Allah make our year with no haraam.” Muharram al-Haraam, no haraam in the month of Muharram. It means our whole life (we make intention), is “Yaa Rabbi I am leaving and making my pilgrimage from badness to goodness and every darajat (level) of goodness.” Means even from what I thought was good, “yaa Rabbi if You found any bad in it this year, let me leave that too.” Making continuous hijrah, movement, and pilgrimage to Divinely Presence until the greatest pilgrimage is into the ground, where Allah (Azza wa Jal) opens permission that: now your time, my beloved servant is finished upon this Earth. In the name of God, the All Beneficent, the All Merciful. And there is no strength, nor power except by God, The High, The Mighty. That is the hijrah, that is the reality of hijrah that Prophet (sallallahu `alayhi wa sallam) wanted. That it is not a history story that, “Only I did it,” but, “if you want to follow my Sunnah, it is not only you wear a hijab and a hat and have a ring, but live your life the way I lived my life” and I am going to duplicate it on a very small scale. So that it doesn’t have to be so severe or so difficult because nobody can carry what Prophet (sallallahu `alayhi wa sallam) carried. It means this is the understanding of this (spiritual) hijrah. When the hijrah opens and (the month of) Muharram opens, it is a tremendous baab, a gate, through which we enter into that reality. Then Prophet (sallallahu `alayhi wa sallam) sets an example for us, in the greatness of the Awliya of Naqshbandiyya til `Aliyah. That in that Hijrah, Prophet (sallallahu `alayhi wa sallam) took his beloved friend Sayyidina Abu Bakr as-Siddiq. 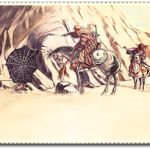 They moved to the Cave on their way to Madinatul Munawarrah when fleeing from the people of Makkah because they were not allowing Prophet (saws) to leave. So there is a couple of events that we will go over. When Prophet (sallallahu `alayhi wa sallam) left in his Hijrah, there was no (safe and) direct path to Madinah tul Munawarrah so he went up into the Cave with Sayyidina Abu Bakr as-Siddiq. Again it means in our life it has a tremendous reality if you are moving and making a hijrah to the world of Light, Madinah tul Munawarrah, it is the City of Lights, it is the City of Malakoot, the reality of Malakoot. Always seek a light in your life to reach the reality of Light. Don’t be so stuck on the physicality, people who are only zahiri (apparent/external) all they are interested in are the physical aspects of Islam. The greatness of Islam is the Malakoot and its realities in the eternal Message related to the world of souls. Where Prophet (sallallahu `alayhi wa sallam) was describing, “You have to move into that reality. Prophet (saws) says: “I took the Siddiq into that direction. But before the City of Lights opened I had to enter into a Cave with him.” Then in that cave with the Siddiq, that has every reality for Naqshbandiyya (Tariqah). That “Yaa Rabbi if I am asking to enter and move into that direction, move into that reality, then they say ‘run to the Cave and be from Ashaab al-Kahf (Companions of the Cave/ Seven Sleepers). If you want to reach the City of Lights,’ there is no direct run into the City of Lights, but seek the Cave. Awliya come into our lives and say, “Make sure you are seeking the Cave and to ask to be from Ashaab al-Kahf.” That Yaa Rabbi I want to be from the people of the Cave, copying my beloved Sayyidina Muhammad and his beloved Companion Sayyidina Abu Bakr as-Siddiq.” Then our life is to seek the Cave. Awliya come into our life and begin to teach us, “That Cave and the reality of the Cave is the heart of Prophet (sallallahu `alayhi wa sallam).” There is a physical Cave which you see, the spiritual Cave for our reality and our soul is in the heart of Sayyidina Muhammad (sallallahu `alayhi wa sallam). It means they are teaching all of Holy Qur’an and all the realities are opening with an understanding. This is not a history story of the past; this is every moment of our life. That if this reality is going to unfold for us, the Holy Qur’an is going to unfold for us, because your wudu is only as good as your shower. If you don’t understand how to take ghusl with a correct intention, then all subsequent wudu is worthless for you. Most people pee in the shower, so all your wudu is gone, every subsequent wudu after that is of what value when you negated the ghusl? It means there is the key and when you understand the key every other lock opens based on it. How can somebody have an understanding of Holy Qur’an when they don’t know Bismillahir Rahmanir Raheem? And the secret of Bismillah ar-Rahmaan ar-Raheem is in “audhu Billah”, because you have to seek refuge. How can the light of Holy Qur’an reach you because for every surah you have to recite, “Bismillah ar-Rahmaan ar-Raheem, alhamdulillahi Rabbil `aalameen…[In the name of Allah, the Most Merciful, the Most Compassionate. 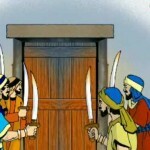 All Praises are due to the Lord of the Worlds] ” So they are teaching, “If you don’t have the first key understood, then all the subsequent locks are closed. That is why when these people talk, it is furqaan, it is (about) right and wrong and usually very harsh with no realities because they didn’t understand the (first key) audhu (seeking refuge). This is the reality of the hijrah because we are making a hijrah, from who? From shaytannir rajeem. “Yaa Rabbi I am seeking refuge.” So where is my refuge? My refuge is with Sayyidina Muhammad (sallallahu `alayhi wa sallam)! 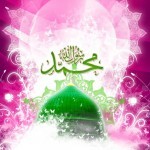 If you are with Prophet (sallallahu `alayhi wa sallam) then I (Allalh (aj) am alreadywith Prophet (sallallahu `alayhi wa sallam). We live in a time where it’s the worst. You watch TV and people are being slaughtered for Islam and this is not Islam, they are Dajjal. This is not the Message of Sayyidina Muhammad (sallallahu `alayhi wa sallam), this is not the Rahmah, the mercy of Prophet (sallallahu `alayhi wa sallam). You feel it in your heart and you want to take the TV and smash it. Who are these people who are doing this? This is not the Rahmah, not the Message of Prophet (sallallahu `alayhi wa sallam). And we have to sit there and watch every atrocity, watch every horribleness that comes from their mouth. Their aqeedah and belief; it is all from hizbu ‘s-shaytan, the parties of Shaytan. They take us into the Cave and teach us, “That Cave is the heart of Prophet (sallallahu `alayhi wa sallam). That reality for us is everything in our life. That that Cave where Prophet (sallallahu `alayhi wa sallam) is in with t he great Siddiq, the great perfected character of truthfulness, both are teaching an amazing character. Sayyidina Abu Bakr as-Siddiq, that position and nearness with Prophet (sallallahu `alayhi wa sallam) that he gave everything in the way of Sayyidina Muhammad (sallallahu `alayhi wa sallam). When Sayyidina `Umar Farooq (q) with all his great stations, gave a portion in the way of Prophet (sallallahu `alayhi wa sallam). Prophet (sallallahu `alayhi wa sallam) said, “Yaa Umar your faith is not yet superb like Abu Bakr as-Siddiq,” that he gave everything in the way of Prophet (sallallahu `alayhi wa sallam). Prophet (sallallahu `alayhi wa sallam) was astonished, “Yaa Abu Bakr what did you leave for your family?” He said, “I left them Allah and His Rasul,”. That is the inheritance of Naqshbandiyya til `Aliyyah that the great Ashaab al-Kiraam (Companions of Prophet Muhammad (saws), and the Ahlul Bayt an-Nabi (Family of Prophet Muhammad (saws), they gave everything for that love of Prophet (sallallahu `alayhi wa sallam). And they asked Allah (Azza wa Jal) “Let them inherit from my way yaa Rabbi, from my way with which I approach Prophet (sallallahu `alayhi wa sallam) and I saught Your Satisfaction”. The Turuq (Islamic spiritual paths) and the people of Haqaaiq (realities) are the big universities of Islam. They teach only the Islam and the reality of Islam and how to gain the satisfaction of Allah (Azza wa Jal) through the love of Sayyidina Muhammad (sallallahu `alayhi wa sallam), That to live a life in which everything is for Prophet (sallallahu `alayhi wa sallam). And then what is left in the heart is real Tawheed of laa ilaaha ilAllah Muhammadun Rasulullah. That Cave then has a secret. There was a spiderweb guarding that Cave and that is the reality of ankaboot. Ankaboot when you look to Holy Qur’an it is Surah 29. People don’t understand, they get confused with numbers, but that 29 has a tremendous reality. That 29 is the secret of laam-alif. That 29 of Surah Ankaboot is a teaching for us that it is such a beautiful structure, the web, and how the spider makes the perfected web. Means it busies itself with the best of `ibaadah, worshipness. 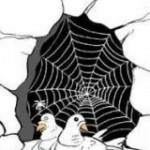 As a result Allah (Azza wa Jal) draws our attention, “Look what a frail but magnificent structure that spiderweb is.” It is better than any architect on dunya with no computer aid, no graphics, no machine, just a beautiful web. Number 29 has to do with Lam Alif لا and Annihilation 29 th letter. That ankaboot is the reflection of 92; 29 is a reflection of 92. 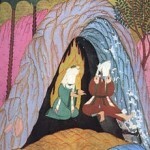 That Awliyaullah come in our life and begin to teach, “That 29 and the gate to that cave has to do with annihilation. That laam-alif means ‘laa’ (No), as much as you exist, as much you are far away from that Cave and the door of that Cave,” because they (people of Makkah) couldn’t see it. When they were looking for Prophet (sallallahu `alayhi wa sallam) to harm him. They came to the Cave but they couldn’t see anybody inside. So it means there is a tremendous reality in laam-alif. As much as you exist, the reality is far from you. Take a way of lam jalala, in which the first Zikr of all Turuq is: Laa ilaaha ilAllah لا اله الا الله [There is no God but Allah]. 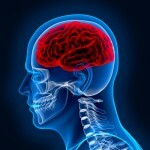 “laa لا ” the energy from your breath comes and goes “laa لا ” to your head [Shaykh throws head back.] “Ilaaha اله ,” [Shaykh brings head to face the right shoulder.] “Il-Allah الا الله ” [Shaykh turns face from right shoulder towards the heart], “Nothing but Allah into the heart”. That energy of the ‘laa’ is teaching that if you are coming to Prophet (sallallahu `alayhi wa sallam) with your head (using the mind), you are never going to find that reality, it is beyond the understanding of mulk (Physical world). The head is only for the understanding of mulk, it can’t understand the Heavens. Only the heart can understand the Heavens. Only the heart is the base of the soul, only the heart understands love, the head doesn’t understand love. All these realities are within the heart to be dressed upon the heart. It means Allah (Azza wa Jal) is guiding and teaching us, “If you want to enter into the Cave leave your `aql, leave your head.” They say, “Shaykh, the first thing that Allah (Azza wa Jal) created was `aql (intellegence).” Not the `aql that you think, He did not create a big brain in Heaven.That there is a big brain in the space, “oh this is the Aql (intellegence) for you people. `Aql عقل is ‘Ayn ع . Qaaf ق , Laam ل , Allah’s Ancient `Ayn is Allah’s Ancient Knowledges. `Aql, when Allah (Azza wa Jal) is speaking, is not from had ad dunya (the limitation of material world). We only use our capacity to understand Divine Realities. 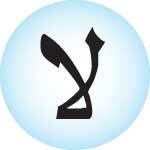 `Aql عقل for Allah (Azza wa Jal) is the `Ayn ع , Allah (Azza wa Jal)’s Ancient Knowledges is what Allah created first. The Ancient Knowledge which is uncreated realities is coming through Qaaf ق , Qu’ran al-Majid. Allah (Azza wa Jal) asks: you want to know what I created first? It is from the oceans of `Aleem عليم, My Siffat al-`Aleem العليم the first thing that I brought into existence. From that ancient ocean it moves and manifests in Qaaf wal Qur’an al-Majeed. Holy Qur’an is manifesting but for you who don’t know, it manifests through the through Laam ل of `aql عقل. `Ayn is Allah’s Ancient Knowledge, Qaaf, is al-Qur’an al-Majeed, through where? The tongue of Prophet (sallallahu `alayhi wa sallam), [Laam] Lisaan al-Haqq. It is Allah’s Ancient Knowledge, Holy Qur’an in Malakoot. There is nowhere Allah is sitting on a Chair and reciting Qur’an for people. It is beyond our understanding, beyond our comprehension. Allah’s Ancient Power, Ancient Reality is moving upon Allah’s Ancient Tongue of Creation which is Sayyidina Muhammad (sallallahu `alayhi wa sallam). So the first thing created of `aql is in relationship to Prophet (sallallahu `alayhi wa sallam). It is not a big brain sitting up on space. So means when entering into that Cave they are teaching that reality that, “Enter that Cave and lose your head, don’t come this way with the faculty of the head.” The head has to be like the moon that ‘shuts off’. The moon shuts off, it doesn’t claim to have any light of its own, shamsi wal qamar. Come with your heart, come with love, your heart will be lit like a sun. If that heart lights up then negate your head, negate what you are thinking, negate what you think you know, everything can begin to shine upon your face. Allah can open every reality. Eh, that head blocks you from every reality. How can Allah open anything for somebody who is coming with their head into that understanding. And the head hasn’t seen anything? It is the world of imagination. Now with the computer and with television, Shayan has pumped an immense amount of imagination into the head where it imagines everything and takes the spirit and the soul through a voyage into nowhere. So then the first Zikr that Prophet (sallallahu `alayhi wa sallam) gave was [laa] to take your head off, lose the head, negate the head. 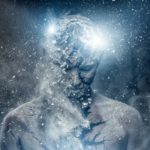 Tell your head [the mind] that, “You know nothing, you know nothing, you are a piece of flesh in a box, you haven’t even seen anything. You know nothing, you know nothing, only Allah in my heart knows everything. If I shut my head off, My heart will open up.” Allah (Azza wa Jal) said: qalbun mu’min baytullah. Baytullah will guide me. The Light of Allah (Azza wa Jal) and the love of Sayyidina Muhammad (sallallahu `alayhi wa sallam) will guide me and just shut the head. So then the spiderweb for us is to understand that, “Come through the reality of 29 and negate yourself.” The 29th letter of the Arabic Alphabet is laam–alif. 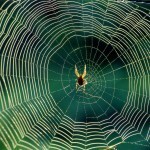 Be nothing; be nothing and busy your life making that (web) a beautiful home (in your heart). 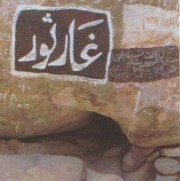 The dove [near the cave Thawr] was the symbol of love. All of this Allah (Azza wa Jal) put in front of the Cave so that people who were not of that reality could not even see Prophet (sallallahu `alayhi wa sallam). So people have eyes but they don’t see this majlis. Even if they come to the majlis (gathering of Zikr) they say, “I am just hungry why are these people sitting for so long?” They haven’t have the eyes to see the energy that is there. They have not have the ears to hear what is happening here. When you are making Zikr, the halaqas of zikr are the halaqas (circles) of Paradise. There must be Malayikah (angels) that are making Zikr far greater, far more powerful than us, all the way to Arsh ar-Rahmaan (the Throne) and this is the Hadith of Prophet (sallallahu `alayhi wa sallam). So we have eyes but we don’t see and we have ears that do not hear which means it didn’t open! That dove is the symbol of love, and it laid two eggs because inside the Cave was the owner of these two worlds, the owner of the world of Light and Life [Malik al-Hayaat] and owner of the World of Form All Created Universes , [Malik ad-Dunya], He is Malik al-Hayaat wa Malik ad-Dunya. Meem Ha Meem Dal. All that Creation was given to Sayyidina Muhammad. What Allah (aj) want to do with Creation? All He wants is Sayyidina Muhammad (sallallahu `alayhi wa sallam). All Creation exists within the ocean of Muhammadun Rasulullah (sallallahu `alayhi wa sallam). It cannot exist within laa ilaaha ilAllah because laa ilaaha ilAllah indicates: there is no shareek with Me, no partner with Me, I am the Creator Allah and you don’t understand that role, because you are from Creation. 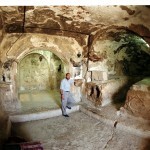 So [at the entrance to] that Cave that dove symbolized love, and inside was the owner of these two mulks (worlds). That is why our nasheeds are describing ‘the one who is dawam, the owner of these worlds, mulki wa malakoot’. 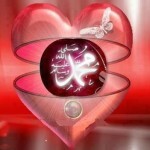 How do we gain the love of Prophet (sallallahu `alayhi wa sallam)? The great Siddiq teaches that inside this Cave, there was a hole and everyone’s heart has a hole from which Shaytan can enter. It means this is not a history story, it is our life story. 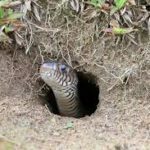 There was a hole in that Cave through which the snake wanted to come and attack. Every heart has a dirty spot on it, a black clot, that Shaytan can enter ithat spot, from there it enters into the heart of the believer and begins all the waswas, (wispering) and bad thoughts. Until that black spot is cleaned and cleansed, Shaytan keeps attacking, keeps attacking. The great Siddiq teaches, “No, no when that Shaytan was coming and Prophet (sallallahu `alayhi wa sallam) was on my lap resting, I put my heel, my qadam, upon that hole.” So it means nazar bar qadam, the Tariqah is built on the qadam, “to keep your eyes on your path”. Don’t let those feet take you dancing, don’t let those feet take you in a direction other than Sayyidina Muhammad (sallallahu `alayhi wa sallam) or then you know for sure the snake has got you! So Sayyidina Abu Bakr as-Siddiq is teaching, “Come to that Cave. If you follow our way, follow our way, follow our way, my foot will be on that hole and I won’t let the Shaytan come after you. And you will be inheriting from qadam al-haqq and qadam as-siddiq.” That is why they call all the students and shaykh “muqaddam”, they are carrying their feet. Because these feet wherever they go they will be in difficulty. 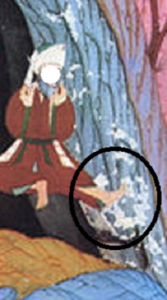 One of the principles of the Path [Naqshbndiya] is to keep your nazar (eyesight) on your qadam (feet). Don’t look to who has what, don’t keep your eyes always hungry and to be jealous and envious. But keep your eyes on your feet and you will be so happy because Allah may send you somebody who doesn’t have feet. At least you have feet. It means if you keep your life’s (focus) where: “Yaa Rabbi I only have to worry about myself, my grave and my relationship with You.” I can’t even put my children in my grave, I can’t put them on my belly and go into the ground, everyone has their own grave. So then keep my nazar on my qadam, means keep all the desires of my eyes and my life (away by) looking at my feet and say, “Yaa Rabbi please let this hijrah to always be towards Your Divinely Presence and the love of Sayyidina Muhammad (sallallahu `alayhi wa sallam).” That is the hijrah with Prophet (sallallahu `alayhi wa sallam) and Sayyidina Abu Bakr as-Siddiq because it is Siddiqiyya. 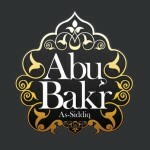 So everything is described: that how Abu Bakr as-Siddiq gave everything. His love for Prophet (sallallahu `alayhi wa sallam) is everything. That if you follow the Siddiq and build the character that is correct, you should be free from shayateen that are trying to attack and enter your heart. So it means the Path is laid by these example, these are the lords of annihilation, the lofty souls which Allah (Azza wa Jal) describes. “They are realities who show you how to annihilate yourself.” If you can’t give up smoking, drinking, ghadab (anger) and bad character, then we feel ashamed. How this young man of a youthful age decided that he would give his life for Prophet (sallallahu `alayhi wa sallam)? Not like hizb ush-shaytan who want to kill everybody for Allah. Every example they give is of the perfection of character. 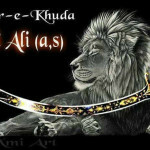 Why did Allah name him Asadullah al-Ghalib, “The Victorious Lion for Allah (Azza wa Jal)”? When Allah (Azza wa Jal) saw that Imam Ali was going to lie in the bed, Awliyaullah come and teach that Sayyidina Jibreel and Sayyidina Mikaeel were watching. And Allah (Azza wa Jal) asked them, “Do you see the love that he has for Sayyidina Muhammad (sallallahu `alayhi wa sallam), My Most Beloved in Creation, would you do that?” They don’t have a life (on Earth) to understand the reality of what he was giving his life. He was giving a gift that Allah (Azza wa Jal) had given to him, he was giving it for the love of Prophet (sallallahu `alayhi wa sallam). Allah (Azza wa Jal) was so happy by that sacrifice that He warned Sayyidina Jibreel to be at his head and Sayyidina Mikaeel to be at his feet so that not a hair on Imam Ali (as) should be damaged! Immediately they were at his presence and they inspired the people not to harm the one lying in the bed, and to look at the bed, and then they understood that they did not have Prophet (sallallahu `alayhi wa sallam). “Sacrifice your self, your bad character, you don’t have to die for anyone but your bad character should die.” You should give up a bad habit like a jihad against yourself, “Yaa Rabbi for the sake of Prophet (sallallahu `alayhi wa sallam), I am not going to smoke, I am not going to drink, I am not going to do these bad things, I am not going to have ghadab and anger. Let me sacrifice something in that way,” and that adheres to and keeps the way of Imam Ali, keeps the way of Sayyidina Abu Bakr as-siddiq and to reaches towards the satisfaction of Allah (Azza wa Jal).